I can confidently say that these will be some of the best waffles you will ever taste in your entire life! Why do I know this? Well it's because I don't care for waffles however somedays I feel like I'd be happy if this was the only food I got to eat for the rest of my life. Is a waffle a waffle just because of the waffle maker? 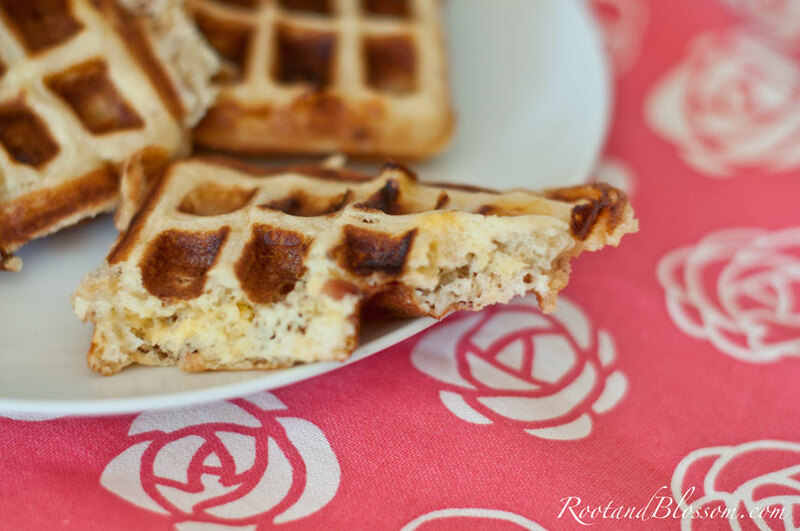 These waffles are made from pancake batter so does that make them waffling waffles? Okay, bad joke... I may have laughed at that though. These are not just any kind of waffles but waffles that incorporate grated cheddar cheese, bacon bits, and diced sautéed onion- DEEE-lish! Directions: Place all ingredients in a large mixing bowl and combine. 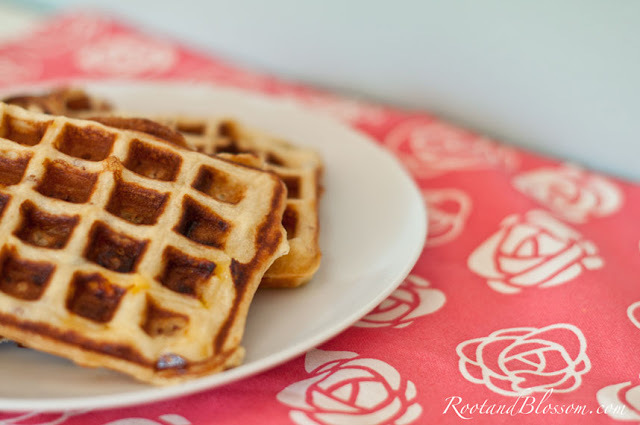 Scoop batter onto a greased waffle iron- amount of batter used at a time depends on size of iron. YUMMY!! 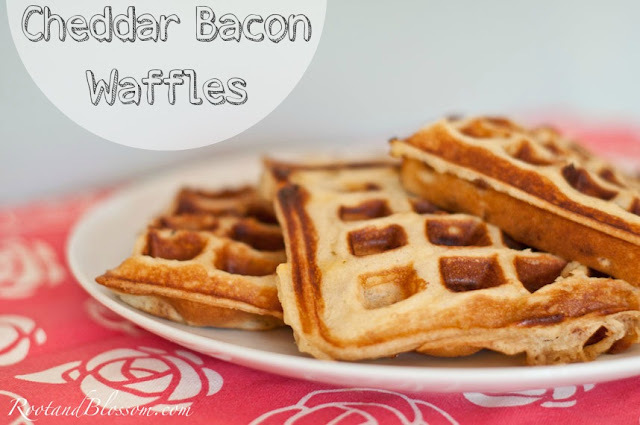 I made bacon waffles for Father's Day this year, but the recipe I used didn't have cheese and onion - I WILL be trying this one next time. Looks so good!! These sound so good! Have to try them! Your food posts make me drool....my computer keys aren't happy with me right now! Darn...I have all of these ingredients but NO waffle maker! Thanks for sharing, maybe I'll make a pancake version! You can't go wrong with just using bacon! I bet your little guy will love them too- Gabriel sure does! Exactly! My mom would put the leftovers in baggies for us to take to school when we were kids.